Nashville’s The District is a bustling, thriving neighborhood in The Music City. With so much to see and do, things can get overwhelming, so luckily, we’ve compiled a list of the very best things to check out while you’re visiting Nashville. Printer’s Alley was once a thriving early 1900s publishing alley, home to two newspapers, ten print shops, and 13 publishers. During prohibition, the new restaurants, and bars in the alley served alcohol anyway, claiming the liquor to be brought in by customers. Printer’s Alley is now a glorified nightclub and entertainment district. You’ll find plenty of bars as well as music venues today to enjoy a night out with friends. The Ryman in Nashville, Tennessee, formerly the Grand Ole Opry House, is a designated National Historic Landmark and 2,362-seat music venue. 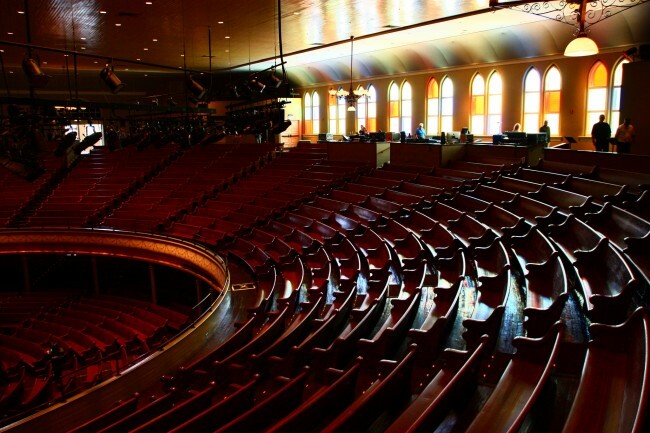 All sorts of famous musicians have played at the Ryman, including Johnny Cash and Louis Armstrong (both performing on the music variety show The Johnny Cash Show, which was mostly shot in the Ryman auditorium). Today you can still see concerts and take a backstage tour of the venue. 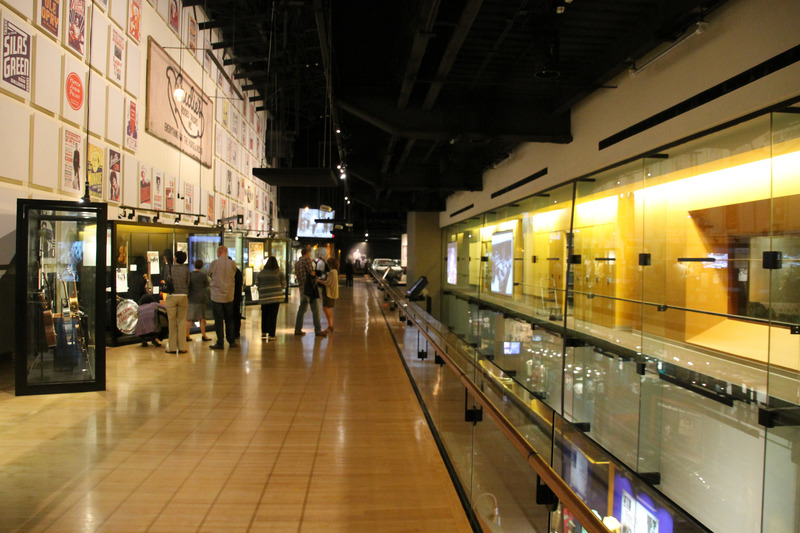 The Country Music Hall of Fame and Museum is a Nashville favorite for tourists, but it also offers fantastic temporary exhibits, like “Dylan, Cash, and the Nashville Cats: a New Music City” and “American Sound and Beauty: Guitars from the Bachman-Gretsch Collection.” There are also special activities Saturdays and Sundays where you can hear songwriters perform in an intimate setting, as well as listen to live instrument demonstrations and learn about the different sounds that go into making country music. 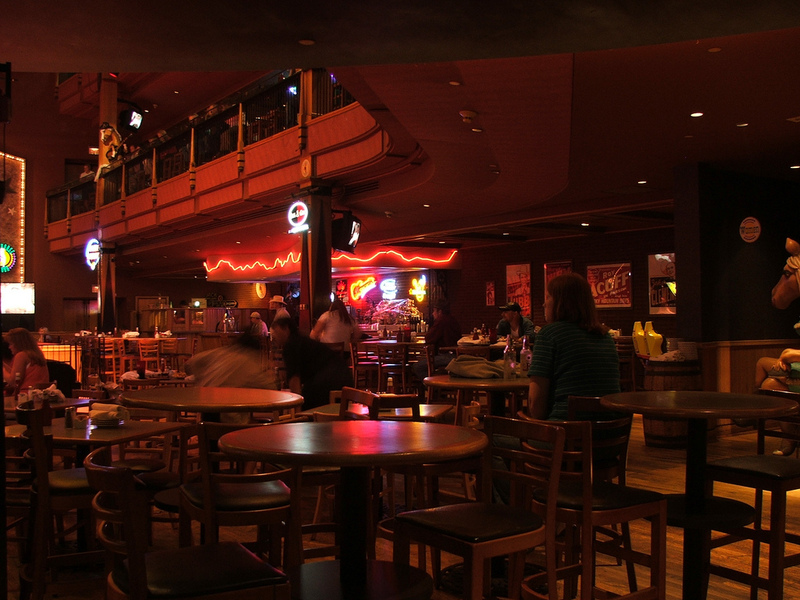 A 66,000 square foot live music and dance venue, The Wildhorse Saloon is one of the best-known destinations in Nashville for eating, dancing, and catching a live concert. All sorts of big name country stars have performed here, including Lady Antebellum and Darius Rucker. Serving in their restaurant tasty Southern cuisine, including their ‘World-Famous Fried Pickles’ made with dill pickles deep fried in their buttermilk Wildhorse spice blend and served with herb ranch, the entire evening will be a memorable, truly Nashville experience. 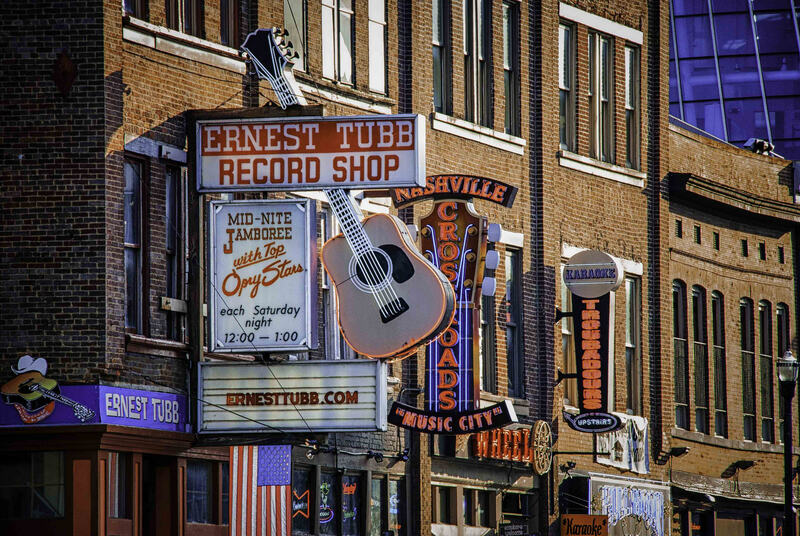 Nashville may be known for its live music venues, but while you’re in The District of Nashville, there’s no better souvenir to bring back home than the music itself. The Ernest Tubb Record Shop has been in Nashville for over 68 years and offers a variety of trinkets, CDs, and records to browse through. They also have a considerable collection of old photographs, a sort of country music museum in itself. A Nashville print shop since 1879, Hatch Show Print flourished in the 1920s carving woodblocks for print art for African-American jazz and blues artists of the day, including Louis Armstrong, Duke Ellington, and Bessie Smith, as well as other art and advertising. 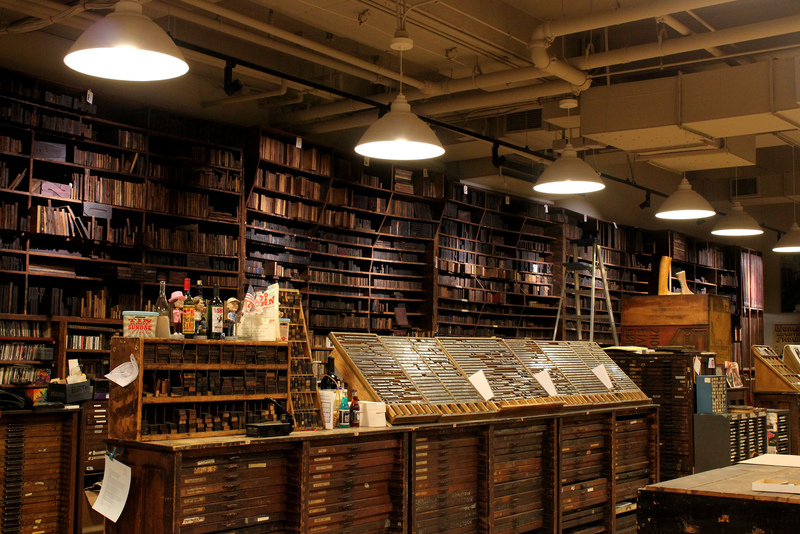 Today Hatch Show Print occupies four different spaces, including a large print shop where visitors can watch posters roll off the press and the Haley Gallery where you can gaze upon vintage posters from the Hatch collection. The Hatch Show Print is another perfect place to find souvenirs. Watch out for: Their Haley Gallery with vintage posters on display. Among the many music venues in Nashville, be sure to check out Legends Corner. Another favorite Nashville bar, Legends Corner attracts all sorts of big names to play at their venue, from Kid Rock to Cowboy Troy. Of all the true-to-the-heart honky-tonks on Broadway, Legends stands out as one of the better watering holes, offering an expansive drink menu and cold, quality beers that attract regulars. A cowboy boot store and overall souvenir shop by day and a hopping honky-tonk by night, Robert’s Western World is another drinking hole not to be missed on Nashville’s Broadway. Featuring their regular band Brazilbilly, a country music band with a Latin flair, Robert’s Western World is a truly unique experience while you’re out and about Nashville’s music venues and bars. Named for its orchid color paint on the outside, Tootsie’s stands out from a mile away in Nashville as a bright and popping music venue and bar. It’s also an excellent place to find food, including their fabulous fried pickles. A three story bar with bands playing on each floor, Tootsie’s is a dear music venue to Nashville’s heart. One of Nashville’s most popular museums, The Johnny Cash Museum, more than satisfies music lovers. The largest collection of Johnny Cash’s instruments, personal artifacts, and memorabilia in the world, fans of the Man in Black won’t want to pass up this well-organized and extensive museum.